Well that's decided then. Two friendlies, 180 minutes and, most importantly, two wins for England mean that I am absolutely convinced that the Three Lions will be bringing the World Cup back home for the first time since 1966. Ok, that's maybe an exaggeration. But there is still reason to hope, as for the first time in god knows how long, England finally have a squad with top quality strength and depth. Manager Gareth Southgate has several tough decisions to make regarding his starting line-up for the opening group game against Tunisia though on June 18. England are finally catching up with the times and are heading into the tournament playing a modern-day 3-5-2 formation. In that back three, it is fairly clear that Manchester City's Kyle Walker and John Stones will be two out of the three centre backs who will start against Tunisia, but there is some significant doubt as to who will take up the last remaining spot in that back-three. Gary Cahill did his starting chances no harm by scoring in the 2-1 win over Nigeria on Saturday, and regardless of his form for Chelsea over the last 12 months, comes in as one of the more experienced members of the England side. However, the Chelsea captain does face some competition with Phil Jones and Harry Maguire, who both played the full 90 minutes against Costa Rica, looking very astute in their centre defensive roles. The three candidates are all viable options, and this appears to be Southgate's biggest headache. Another position that Kyle Walker can play is right wing-back, but Southgate's set-up of his England squad over the March and June friendlies suggests that the Manchester City defender's principal role will be as a right centre back. What also helps justify Walker's transformation into a central defender is the quality of the two chosen right wing-backs that the England manager has at his disposal in his World Cup squad. Three months ago, Kieran Trippier must have surely thought that his role as England's first choice right wing-back was secure, especially after seeing his former Tottenham teammate Walker move to a new role. 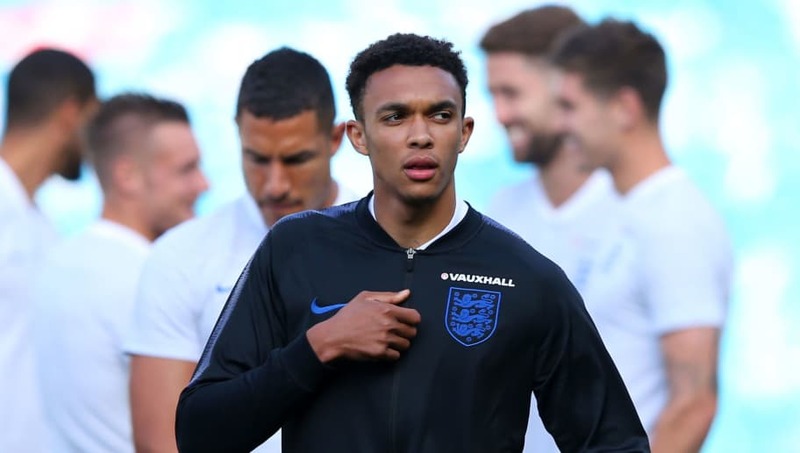 However, the rise of Liverpool's Trent Alexander-Arnold, who played a significant role in the Reds' run to the Champions League Final, has complicated matters for Southgate. Both players look excellent going forward, even better with the ball at their feet, and, most importantly, very comfortable whilst defending. This is another very difficult choice for Southgate, with little to choose between the two players. The England manager also has a similar headache on the other side of his defence, but this time has two very different options to choose from. 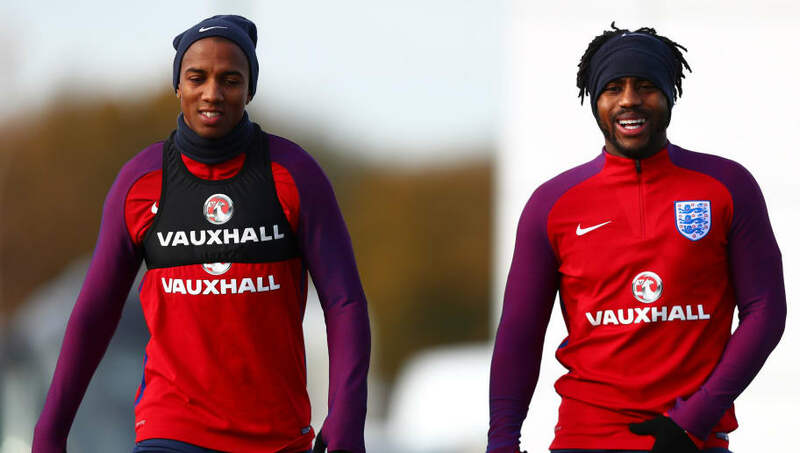 Danny Rose is the more natural choice of the two, given the fact he is a natural left-back, and his left-sided nature gives England a different dimension in a squad that is dominated by right-footed players. Meanwhile, Ashley Young, the other option available for Southgate, has been a regular on the left side of defence for Manchester United this season, and has looked very good in that role for England. The inclusion of Young, however, would mean that England are likely to face Tunisia with ten right-footed outfield players, meaning that width on the left hand side could be a rarity. Furthermore, Rose's performance against Costa Rica might have just put him in pole position. 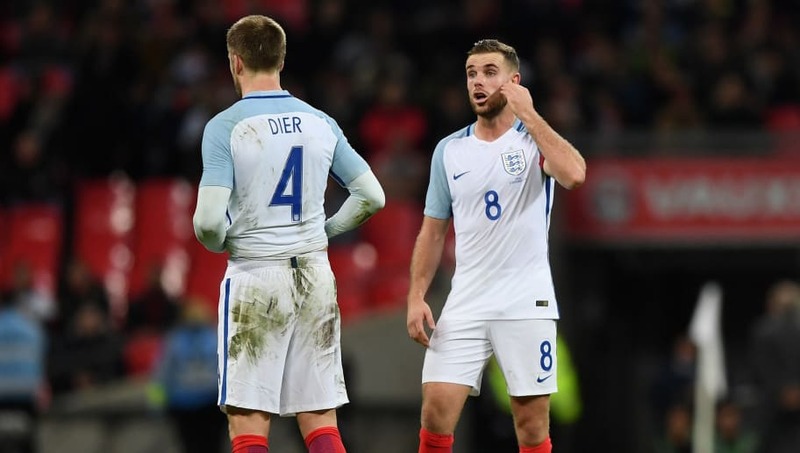 "I think we will only want to play with one pivot" said Southgate ahead of Thursday's friendly with Costa Rica, meaning that there will not be room for both Eric Dier and Jordan Henderson in England's starting line-up at the World Cup. Here lies another conundrum for Southgate to solve. Eric Dier seems to be the natural option, having played this exact role for Tottenham for most of the season. Dier's inclusion will also prove useful if John Stones decides to carry the ball forward from defence, with the Tottenham man also capable of filling in at centre-back for certain periods of the game. Henderson, however, is a better technical midfielder than Dier, with the Liverpool captain putting in a fine display against Costa Rica. 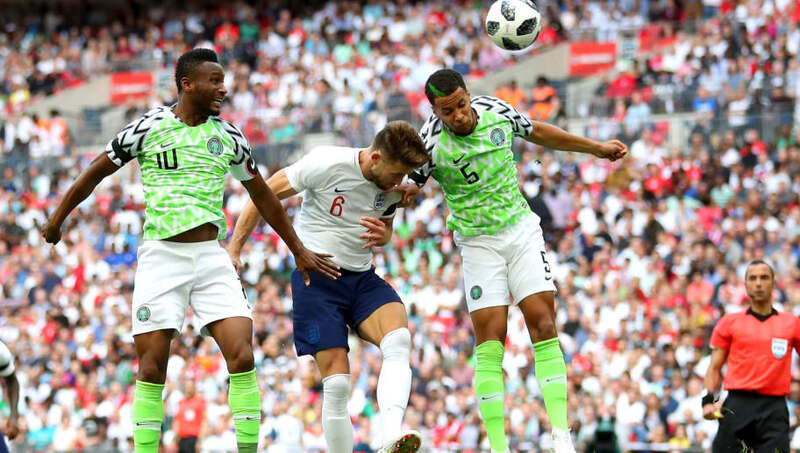 Henderson's ability to spread play quickly and effectively could prove to be useful against sides such as weaker sides such as Tunisia and Panama. Fabian Delph is another option for Southgate to use in the pivot position, but the clear contest is between Dier and Henderson. 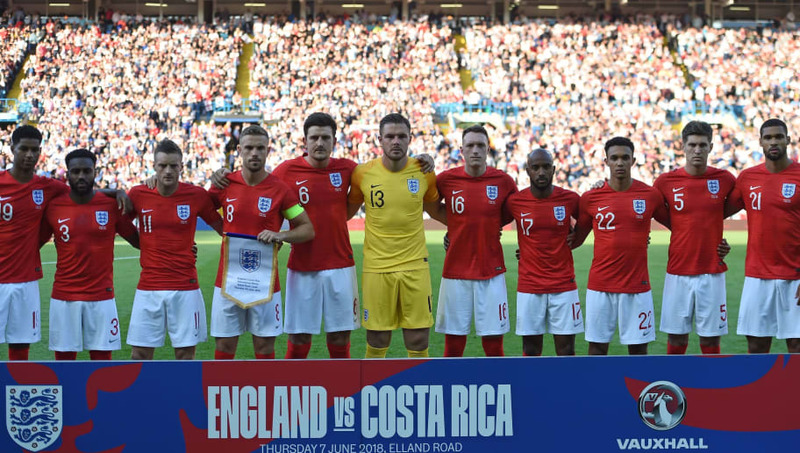 Before the Costa Rica game on Thursday night, many analysts of the England team were under the impression that England would line-up with a front two of Harry Kane and Raheem Sterling. However, despite his evident technical ability, Sterling's scoring record for his country is an obvious concern, having only scored two goals in 38 appearances, the last of which came three years ago. What hasn't helped Sterling's case to start is the form of Manchester United striker Marcus Rashford, who once again hit the net for England on Thursday with an incredible strike from distance. Furthermore, a Rashford-Kane combination would still give England a strike force containing both pace and power, and certainly a lot of goalscoring potential. Danny Welbeck also hit the target against the South Americans to put his name in the frame for a starting spot, but he is likely to be an English influence from the substitutes bench. 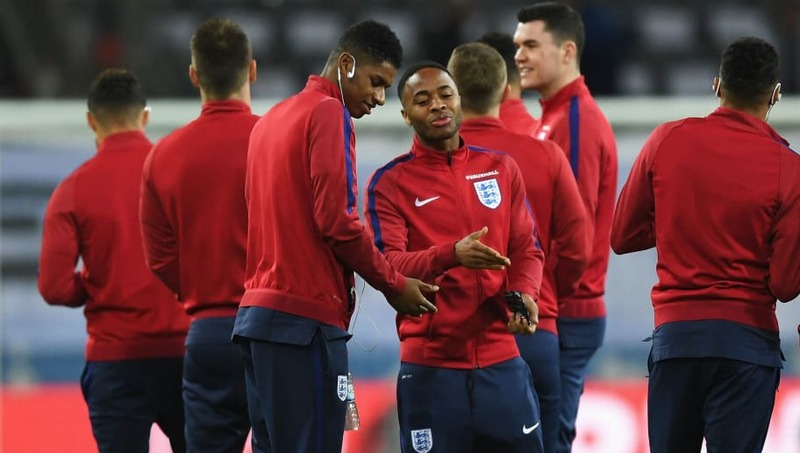 If Rashford is chosen by Southgate to partner captain Kane in a centre forward role for England, then Sterling could be pushed back into a number 8 role, which causes another selection issue for the England manager. Currently occupying these places are Tottenham's Dele Alli and Manchester United's Jesse Lingard, who have both put solid cases forward regarding their suitability to the attacking central positions. Alli has a clear partnership with his Tottenham team mate Harry Kane, and showed his creativity skills in the assisting of Welbeck's goal against Costa Rica on Thursday. Lingard, meanwhile, demonstrated his potential in that role with a man-of-the-match performance against the Netherlands in March, scoring the winning goal in the process. Out of Lingard, Alli or Sterling, which one do you drop out of the three? They've done all they can in the friendly game experience, now it's back to the training ground for Southgate and his players.